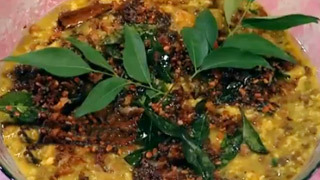 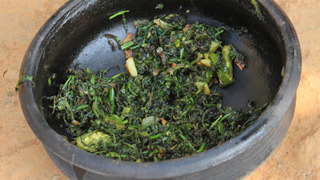 Served on a plantain leaf and eaten with the hand, the Sadya is the traditional Kerala feast. 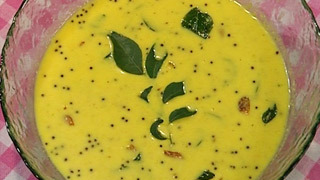 A three course meal, the sadya includes an amazing variety of around 40 vegetarian dishes. 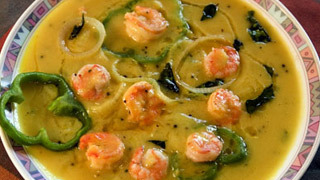 Crispy pappadams (wafer deep fried in coconut oil) and a variety of pickles accompany the sumptuous spread. 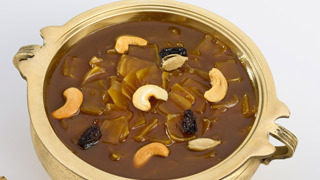 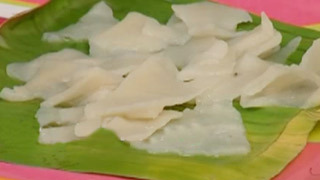 The Sadya is rounded off with different varieties of payasams (sweet desserts).